Every year the technology of what makes an electronic cigarette gets better and better. This year has been incredibly exciting. We’ve compiled a list here of the top best RDA’s to come out so far. Everyone has different opinions, tastes and budgets so this list has been divided up into 3 categories: Best overall, best flavor and best vapor production. This year we’ve started seeing some radical new designs for things like airflow and chamber sizes. Some people prefer flavor, some are interested in cloud blowing and some want to split the difference in the middle so hopefully this guide will help you figure out what might be the best for you. For each category we’ve listed options for various budget considerations. We realize not everyone can afford high end RDA’s and there have been some really nice offerings at lower price points this year too so its only fair that we include a variety. The Tugboat V2 RDA is made by Flawless. The origional version had some pretty big problems, but Version 2 is phenominal. 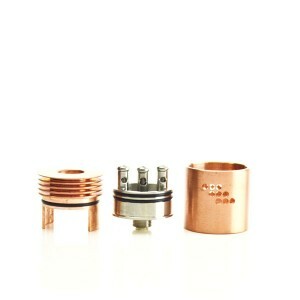 In fact, if you only need 1 RDA, spend the money and get this one. Yes – its that good. Its a traditional 3 post design with a deep juice well, copper positive pin, conical top and adjustable air flow. Its amazing. The Zenith RDA from Double Cross is a beautiful, low profile RDA with interchangeable air flow control rings. This is a nice touch as you can match it to the mod you’re using. Flavor and performance are both fantastic on this device. The posts are wonderful as well – they use slots for loading your coils, this makes it really easy to build on. You do need the included tiny allen wrench to tighten the screws, but its not a big deal. The wide slots make it easy for dual and quad builds. I’ve been using mine in regular rotation for the last 7 months – I really love this RDA. Highy recommended. 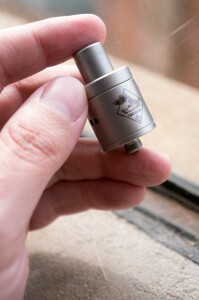 The Plume Veil RDA by Aethertech is currently the most sought-after RDA’s on the market. It is worth every penny and all of the wait to get one. It features a 3 post design with a split on the positive post with 2 connection holes. Also amazing is the air flow design. 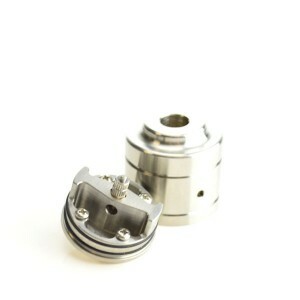 There are 3 sets of air holes – no other RDA on the market has this design. 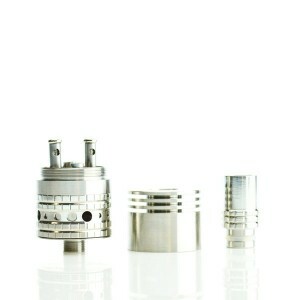 You have the conventional air flow control on the sides of the RDA. You also have additional air flow control on the deck (these air channels lead into the bottom of the negative posts) as well as 2 more adjustable holes on the top cap. 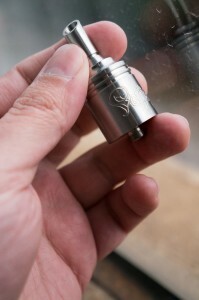 These top cap holes create a vacuum effect that is controlled by turning the drip tip to open and close them. This is the best available. Unfortunately Aethertech is a small company with high demand so they are frequently sold out. You can get a clone version to tide you over, but they have nothing on the real thing. If you see them in stock – buy one. They typically sell out in a matter of hours. 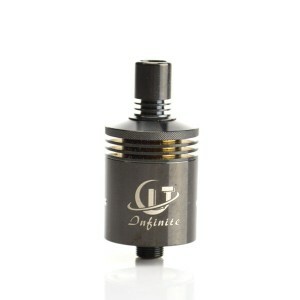 The CLT RDA by Infinite is excellent AND its affordable! If you’re on a budget you’ll love this one. Its about a third of the price of anything I’ve mentioned above and you’ll love it if you want a great mix between vapor production and flavor. The CLT offers a 3 post, 4 hole design similar to the Plume Veil. Its got heat-sink fins for cooling and excellent, slotted air flow control. The only oddity here is that it uses a proprietary drip tip connection which is an odd choice. They wanted to make a wide bore design so this was the reasoning, but you have to use one of the included driptips. If you have a favorite drip tip, it won’t fit. But its still an excellent RDA and the perfect choice if you’re on a budget. The Storm RDA by FocusEcig is an EXCELLENT affordable RDA. Its an excellent performer with good flavor. The highlight here is the deep drip well. This is actually a really nice feature that’s more rare in the low price category. This is a very solid device for the money. In addition to the deep well you get air flow control and excellent performance and flavor. At this price this makes an excellent backup even if you own other RDA’s. The price also makes this a no-brainer. The negative posts are just screws in the deck so if you’re new to building coils this could be a difficult place to start. But once you get the hang of it – its not that big of a deal. The Veritas RDA from iHybrid Mods is one of the more innovative and unique designs to come on the market this year. The air flow is extremely unique coming in from under the massive deck. You build your coils over the side of this so the air hits them from the side instead of the bottom. There are no negative posts – you attach the negative leads straight to the deck. The flavor on this thing is simply outstanding. One of the best you’ll find. There is a downside though – this thing is really hard to build on and not just for beginners. Its rewarding, but if you don’t like to fiddle around this might be trouble for you. If you’re not afraid to learn how to build on it – its highly rewarding and worth your time. The Magma RDA by Paradigm was one of the first of these uniquely designed flavor RDA’s. Its still really well done. You have just 2 posts – one positive and one negative. You can build dual coils by sharing the attachments on the posts. Its got air flow control and a very decent size juice well. I still love mine and it holds up. The deep juice well makes this great for travelling as it will hold almot 20 drops. The airflow comes in beneath the coil builds which launched this whole flavor design. The only cons are that there’s a lot of metal here and the design is a little clunky. I still love mine just the same. If you want flavor – this is the originl. Flavor, flavor and more flavor!! 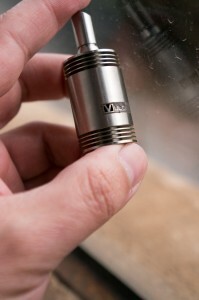 The Dogbone RDA by iHybrid mods is the big brother to the Veritas. If you like the Veritas, but want a 26650 version – the Dogbone is for you. The airflow and build deck is like a doubled version of the Veritas. The designed is mirrored on each side. Its still hard to build on, but its quite nice when you figure it out. The other cool thing here is that dual builds make more sense here. You will have excellent vapor production as well since you’re able to double what you can do on the Veritas. Quad coiling is possible here as well as there are 4 negative connection screws in the base. Perfect for 26650 users. 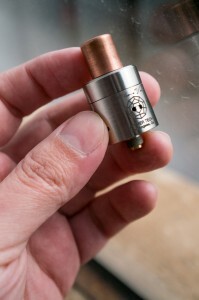 The Holmes RDA by Cigreen is one of the biggest surprises I’ve seen this year. This thing follows the tradition of the “flavor designs” like the one’s mentioned above, but at a fraction of the price. Its impressively machined for this price point and the flavor competes with the Veritas and Magma. I really like this – a nice surprise on the market. Its got a fin design for cooling on the top cap. The vapor production is warm and tasty. The airflow control is outstanding and gives you a lot of options. I really like this device. Even if you already own one of the above, the Holmes is worth a try. If you’re on a budget – this is the one to get. The flavor is just as good as any of the more expensive devices here. Lets start by saying the Tobh is one of my favorite RDA’s to date. I own both version 1 and 2 – love and use them both. Its designed for big clouds, but the flavor is still very good as well. I almost put this one up in the overall category, but it is designed for clouds so I put it here. We’re now seeing different top caps available and this design is compatable with the Vulcan as well. This is a great RDA and is well worth getting. The obvious downside is that its hard to find. Small company so the demand is really high. If you see it – get it. The Vulcan is Japan’s offering to the RDA market. Its impressively designed and built and the price point is incredible. This is an excellent alternative to the Tobh as it performs in the same category. 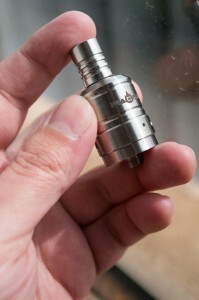 In fact, the mount is interchangeable with the Tobh so you can switch out the top caps easily. The Vulcan has fixed air flow, but its set quite well. The air holes are punched into the “V” in the logo. You can dial these back if you think its too much by using the deck wall. The build sits up high which is nice as well – the air flow is actually good on this despite the lack of being able to easily adjust it. Can’t find the Tobh in stock – this is your alternative. Its got the cooling fins on both the top and the bottom. This is nice if you use a box mod that gets hot, but it does make the device taller. The Mutation X is designed for cloud blowing. If you want to plume rain clouds – this is your device. Flavor is surprisingly good considering, but this is a fog machine. Its got a TON of air holes and the air flow control is actually really well thought out and versitle. Please be careful if you’re a newbie here – this massive air flow is designed for people who want extreme sub ohm builds (.1 and lower). They get super hot and that’s why you need this air flow control. You also need to have batteries that will handle builds this low. If you don’t know what your battery will do then don’t do this. Seriously folks this is extreme and I have to mention safety. If you know what you’re doing – this is your RDA. No question. The Doge by Congrevape is a crowd funded RDA that’s very impressive. The price point is insane first of all. If you want to blow clouds this is for you. Its called the Doge Competition because its designed for cloud competitions at vape meets. If this is your thing – this and the Mutation X are priced to get. In fact, get them both and find what works for you – these are both impressive. The packaging is awesome as well. I know that has nothing to do with the RDA, but it says the makers care about this and I really like that attention to detail. If you find one – get it. They are made in batches and go out of stock quick. They are good about re-stocking so they’re not super rare, but just know they’re not always available. Nice write up. I’m curious to know what you think makes for a good RDA atomizer and which ones to avoid (e.g. single coil, dual coil, horizontal, vertical, deep shallow, etc.) and your thoughts on exotic wicking materials. There are a couple that I think deserved to be mentioned, maybe on the next list. The few I think we’re worthy of this list are 1. The Dark Horse, 2. The Little Boy, 3. The Mephisto V2, &. 4. The Atomic (With the right single coil build and for flavor lovers) . And finally, 5. The Hobo – an absolutely new and innovative fantastically designed RDA for flavor and vapor production. I find the airflow on the Magma insufficient in my opinion, and the same goes for the Plume Veil, despite it’s fabulous airflow options and the first to create a flow like it has, wider holes for its main flow route would amplify all it’s new and creative ways of producing flavor and vapor. Thank god for the good old fashioned drill press. Thoughts on clones for us broke folk? I own an itaste mvp by innokin as I’m still new to the vape scene…intentions of quitting a 20 year habit of cancer sticks. I use a couple Aspire mini Nautilus tanks and local juice. Taste and cloud production is weak. Can’t afford a good mod set just yet, but I’m wondering also if my MVP will vape “better” with an rda, as apposed to the Nautilus mini. Thoughts on the kangertech sub-tank used with mvp? Thanks for your critic – both negative and positive..
VAPENOOB, I could be wrong here. It depends on which version of the MVP you have. Personally I think if you have the verson 2.0, you will be limited at 11 Watts power and even though I have the Atlantis rather than the Subtank, they both run .5 ohms in their premade cartridges. 11 watts on .5 ohms was insubstantial IMO, and I just tried it so I could give you an honest assessment of it (keep in mind I use RDA’s which can be a much more intense experience). If you have the 20 Watt version or the 3.0 version of the MVP (30 variable watt device) they can both handle the Subtank’s lower ohms. If you wanted to get an RDA it’s a better vape experience, but you have to keep in mind that the lower ohm limit on the MVP 3.0 is .4 ohms so you’d have to stay above that in building. RDA’s also have a learning curve in building coils. It’s totally worth it, but can be frustrating when you first pick it up. I highly recommend reading and watching a lot of tutorials on various builds. You will begin to develop a preference and learn a lot. Lastly even in a regulated mod, make sure you’re using a battery that can handle the demand you’re putting on it, and an ohm reader if you go the RDA route to make sure you know what ohms your build is at. A good calculator I found was vapecalc.com. It really helped me when I didn’t really understand how to stay within the safe amp limits of the battery I was using. If you were looking for a higher watt device, the two MVPs I stated before (20 watt and 3.0) retail for about $35 (20 watt) and $65 (3.0) online. As for an RDA clone, I can recommend the plume veil clone by tobecco ( not the infinite or sxk as I haven’t tried them). It does have a couple issues, the black delrin piece that adjusts airflow by twisting the drip tip is a little loose and the screws to attach the leads tend to back off from time to time. These aren’t big issues with me, considering it works great and only costs about $20. If I had bought the authentic and had those issues I may not have been so ok with it. Good luck and I hope I was able to help! The Kanger Sub is a beast. with both juice tank and RDA abilities it is a killer tank. 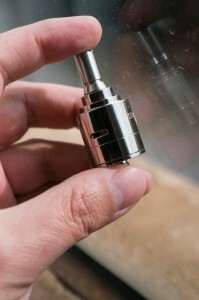 Plus when the RDA attachment is built the tank can be filled and the juice lines will run it to the RDA. Awesome design and better smoke then the Aspire line, though i cant knock Aspire entirely because of the air control valve they have on them. this is how i look at it, if you are at a point where you’re unsure if you should upgrade or not. you probably shouldnt yet. one thing you have to keep in mind is that when using RDAs (which are kind of pointless on an MVP, you’re better off with a clearomizer on that) you have to buy very good batteries that have a high continuous discharge rate (the Amp rating should be at least 30A continuous at this point). you will also need an ohm reader to test each coil you build and you must be very familiar with ohms law and how voltage, amperage, ohms and power (wattage) work in relation to each other. If you have all this down and you own either a mech mod (which is unprotected from shorts, reverse polarity and building a coils too low) or a protected variable voltage/wattage mod of at least 30 watts, high drain batteries, an ohm meter for checking coils, a charger for those new batteries, a bunch of kanthal in various gauges and some Japanese cotton for wicks, you have to be prepared to use about 10 times as much just as you’re currently using in that mvp. you cant get more vapor production without using more juice so just keep that in mind. a $22 bottle of juice that used to last you a week and a half or 2 weeks will now last 2 or 3 days. if you want to upgrade, then go for it. the performance is so much better, that isnt an issue. but if youre going to do it then you should do it right. do a lot of research before you start buying stuff otherwise you eill find yourself outgrowing your gear at a rapid rate simply due to the fact that you didnt do enough research. anyways, just wanted to give the full story and tell you that if you are happy where you are then dont feel obligated to move up to RDAs. it can get expensive and time consuming and if you just want to fill a tank and have it be full all day you probably wont like dripping every 5 hits anyways. oh and ps, i love dripping, dont get me wrong, i just dont think its for everyone based on people i know in my life. An mvp (unless one of the newer, more powerful versions) will always lack in “cloud” production. I bought my mech setup for around 35 GBP which is less than a new MVP! Again i agree with above the littleboy also needs a mention. I have 3 or 4 rda’s but only use my littleboy, immense clouds and good clean flavours. I would definitely recommend a sub tank huge clouds nice flavor. tried the kangertech subtank 25mm dia so far with those two spare set of occ it went crazy enjoy vape but it does end up with leaking problems i keep spare tissues in pocket ooh well once it all gone / burn up then start clean up up replace my own flavour with those last bit of rba inside the subtank box it seems going well last 8 hours today at roughly 5-12c today weather.. without leakinng but if not i just throw n swear n go for RDA which i already order so it on the way atm few days d’oh! i always keep my stick up hmm… also purchase vapeband to stop leak problem it dont work! it coming out of air flow holes i just keep blow out with tissues on it to blast those darker colour out , ALSO i left kbox n subtank in car over night while work the car temp is 1.5c it all wet through, so im hoping for rba see to be different over the weekend … GOOD LUCK to me! I’m pretty new to the vape game and am looking to replace my Aspire Atlantis with an RDA for flavour and cloud chasing dreams. I have an IPV2x that it hits incredibly smooth with the Atlantis (the easily interchangeable airflow is a nice perk). Any recommendations for a change-up? Like I said I’m fairly new at this and would like something with good airflow that works well with my mod as well as fairly easy to rebuild so that I can begin rebuilding my own coils without too much added difficulty. Price is not much of an issue as long as quality is good. Thank you for your suggestions! I agree, this is a great post so thanks for creating it. (bookmarked for later purchases :)) There have been some great additions to the world of vaping and recently the hype about the Goblin seems to have taken off due to the size of holes it has, so that’s another one to investigate and they keep coming out with more stuff all the time. What I will say though is that if you are a flavor chaser, the airflow system setup is important of course but of equal importance is the size bore in your drip tip. A thin bore drip tip will only intensify flavor while pulling back on vapor production where as a wide bore will provide varying degrees of the opposite effect. 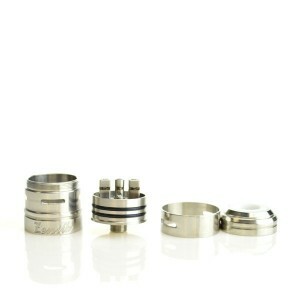 So with the options above you can further modify your atomizer the way you want by merely swapping out the drip tip. This is something I had originally completely overlooked and I don’t think it is something which people, especially newbies think about enough. I think the Dark Horse definitely deserves an honorable mention. I just have a clone of it and it performs on the same level as my Plume Veil. 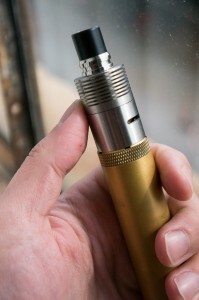 Plus the drip tip doesn’t get hot like the Plume Veil’s does when vaping at 100+ watts. Hey, I’m thinking about buying a high end rda and I was wondering how the istick 50w will handle it. If it doesn’t handle it or might be a problem I’m just gonna go ahead and buy a sigelei 150w. Just thought I’d ask. I Just bought the TOBH ATTY. I guess from the price quote on here I did extremely well I only paid twenty dollars and I am extremely happy with my purchase. Same here…..found the TOBH v2 at my local vape shop and paid only 17.00….hope you guys aren’t paying 80 bucks for this…..but in my opinion it is worth it. This is by far the best review i have come across , really appreciate the breakdown on whats best for flavor/clouds/best overall etc… i love RDA’s like the Veritas, Magma,Holmes and Dogbone so thanks for including these types. I would have to say that the dark horse definitely needs to be mentioned as well as the royal hunter. I have both and with a basic 7 wrap 20 gage I can chuck 12 foot clouds with the dark horse and a 10-11 foot could with the royal hunter with the same build. So these both need a mention. But the dark horse isn’t the best as far as flavor goes. Still has good flavor but nothing in comparison to the royal hunte . Great flavor with it.